So it has been one long, hot summer of me not reading much, and reviewing even less. I’m going to try to rectify all that today with some super short reviews, followed by an afternoon of reading in the sun. Sweet Caress by William Boyd. 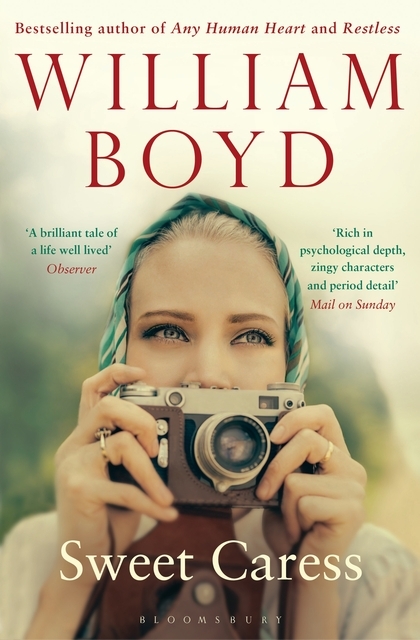 If you’re going to read a middle-aged, white male might i suggest Boyd? He’s always been a favorite of mine. I read this on a plane, and while I don’t really remember much about it, I do remember that I liked it. Not my favourite of Boyd’s work, but a strong read just the same. 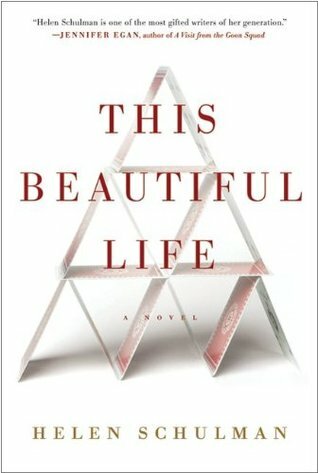 This Beautiful Life by Helen Schulman. This has been on my TBR list forever, so I grabbed it when I saw it on sale. A troubling but enjoyable read about the consequences of teen internet use and explicit photos. It shows just how quickly things can spiral out of control and acts as a bit of a wake-up call to this mother of a tween. May We Be Forgiven by A.M. Homes. This one has also been on my TBR for years. And like This Beautiful Life, it tells the tale of white, suburban, middle-class America. But that’s about all they have in common. As I started May We Be Forgiven I loved it. Great writing. But then the story just kept going and going and I felt like it was never going to end. It needed to be 200 pages shorter and that’s what took it from being a rather good book into one I can’t fully recommend. Hmmm… I have May We Be Forgiven in my TBR stack (and it’s been there for eons!). I really enjoyed This Beautiful Life. I just found it to be really long. And a little tiring. Oh gosh – I’m a mother of toddlers and am already terrified of what my children (esp my daughter) will have to navigate 10 years from now. It’s terrifying! I think being a parent in the Internet age is going to be really hard. Everything changes so quickly. Yeah I agree William Boyd is usually always good. I last read his novel Restless from 2006, but I’m sure I will pick up his work again. I really like his early novels too.